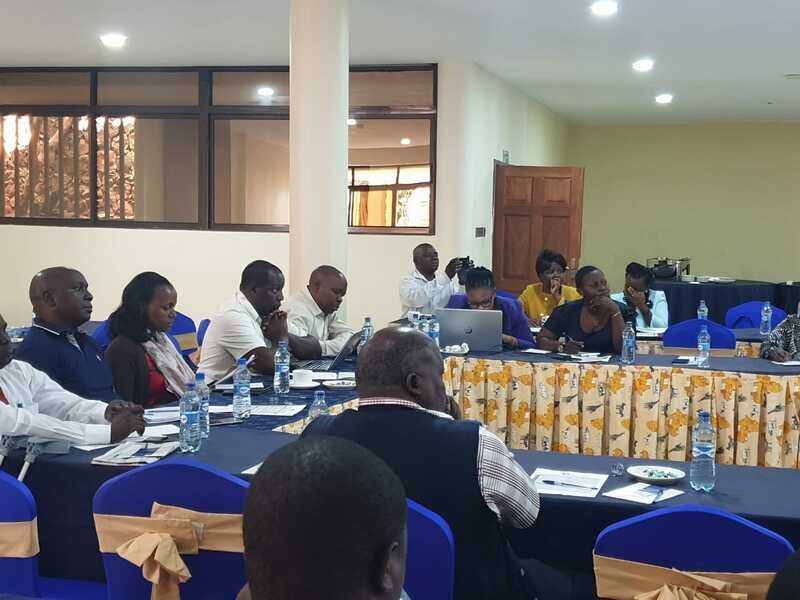 The County Government of Nandi participated in a 2-day workshop organized by the Lake Region Economic bloc, with support from SUNY AHADI, at Kisumu’s Grand Royal Swiss Hotel on 25th and 26th Feb. The bloc is gearing towards developing a Trading Framework that will see the member counties accelerate economic growth by boosting inter county Trade between the member counties. Moreover, the bloc is developing LREB Resource Map to identify and highlight member counties comparative and competitive advantages. Present in the meeting were the CECs for Trade & Industrialization, Tourism, Agriculture and Economic as well as Legal advisors from the 14 Counties. Consultant Dr. Wilson Songa, a trade policies expert, took members through the key areas of collaboration and cooperation within the LREB Member Counties, as they look at the national policies and legal framework that will help guide development of trading policies and legislations within the bloc to create a universal framework for trade while promoting interdependecy. Dr. Songa emphasized the importance of collaboration and cooperation which will enable the members to utilize shared resources within the region. He also took the members through key elements for development of a Trade and Industrialization MOU for the Lake Region Economic Bloc. The two day meeting culminated with a Trading document that is set to give the Bloc the direction on which commodities are available for trade in the member counties. Nandi county is set to benefit from this through enhanced trade, increased investment and industrial development. With the establishment of the Nandi County Dairy Processing plant, for instance, the county is assured of ready market that is LREB member counties. Harmonization of policies is the first step to easening business.